In 1981, Sheikh Mohammed purchased Dalham Hall Stud which lies on the outskirts of Newmarket, Suffolk – the historic home of thoroughbred horse racing, and now Godolphin's international headquarters. Sheikh Mohammed bought the estate from Laurence Philipps, a shipping magnate, who established what became known as Dalham Hall Stud. Sheikh Mohammed bought the estate from Laurence Philipps, a shipping magnate who established what became known as Dalham Hall Stud. The purchase included the one stallion standing there at the time – Great Nephew, sire of that year’s Derby hero, Shergar, and 10 mares. Among them was Oh So Fair, who was in foal at the time. The resulting filly was named Oh So Sharp and she went on to win the Fillies’ Triple Crown in 1985, an outstanding accomplishment for a thoroughbred racehorse that is achieved by very few. 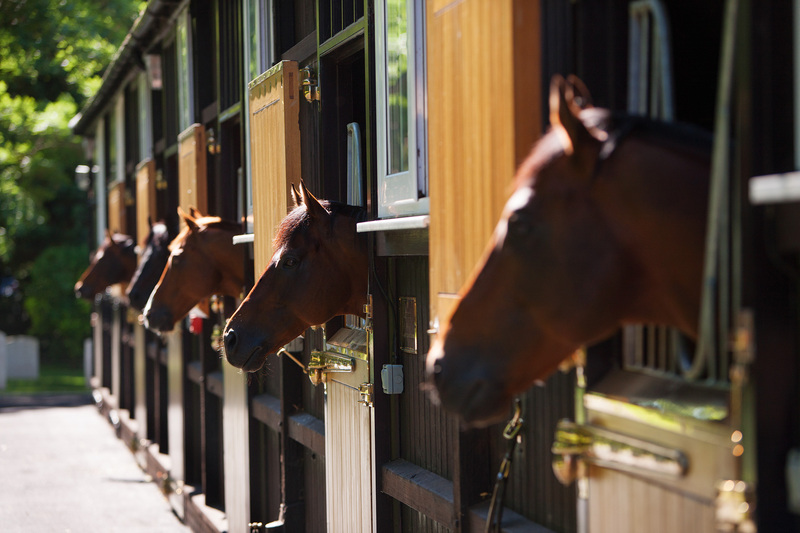 Dalham Hall Stud is split into two parts, with one part used as a private stud for Godolphin mares and their progeny, and the other comprising the stallion unit and stallion paddocks, home to the Darley stallions. Dalham Hall Stud was the first of the 12 studs in Newmarket which now form part of the Godolphin organisation.